Why has this nihilism crept into the right? Because they realise that, as far as managing society goes, the jig is up, not only for neoliberalism, but for capitalism. Capitalism, to assign value to property and capital, needs an infinite natural horizon — a river system must be deemed infinite in its supply. When world population and the economy becomes so big that the limits of nature come into play, a wholly fictional version of that position comes into play. The right realises that any form of collective management — of water, the atmosphere, flora and fauna etc — must now treat them as qualitatively distinct (though interconnected), and set hard limits to water outtake, emissions etc. Such a system is inherently post-capitalist because it situates market exchange and property within a wider system of social management. The Aral Sea was killed for agriculture, and it is now largely a desert with abandoned fishing boats resting on a sea of sand. The Dead Sea has dropped 40.5 metres since 1930, and currently falls 1 metre per year. A two billion dollar project is planned to desalinate ocean water from the Red Sea and pump this along a 200 km pipeline to replenish the falling Dead Sea. Should a business plan for inland farming in Australia include desalinating ocean water, and pumping this liquid gold inland? Could this be achieved with dedicated solar thermal power plants? Would this be the way to Drought-proof all parts of the nation? Could this approach work for Tasmania? Interesting. I wouldn’t have thought it possible to dam a river and divert the whole flow into on-farm storage under any circumstances. At least Hydro Tas puts it back after using it. There must be a minimum environmental flow required although the video doesn’t show that. Maybe the river has seasonally just stopped running upstream of the weir. The video doesn’t show that because there often isn’t one in the Culgoa River once it gets to Cubbie Station. No, it hasn’t, unless you mean Cubbie Station seasonally stops the River. This has been in the news for at least a year now, beginning when Barnaby Joyce was the Agriculture Minister. These rivers almost always flowed, and flooded often. So much so that paddle steamers used to go all the way up to Wilcannia to get the wool harvest each year and transport it downstream. The trip is now impossible for a boat of any decent size. The Coorong wetlands used to flood just about every year and it flushed out the mouth of the Murray River in SA. Now the only thing keeping the mouth open (just, and not always because often now the River doesn’t reach the sea at all) is the permanent presence of dredges. The Coorong wetlands used to be mostly fresh water because there was enough permanent river flow. Now they are mostly saline, or dry. Well, the crisis is mainly due to upstream cotton farmers during the reign of Barnaby Joyce as Agriculture Minister. Take a look at the dams built on foreign-owned Cubbie Station, the largest irrigation property in the southern hemisphere, and its 51 water licences. 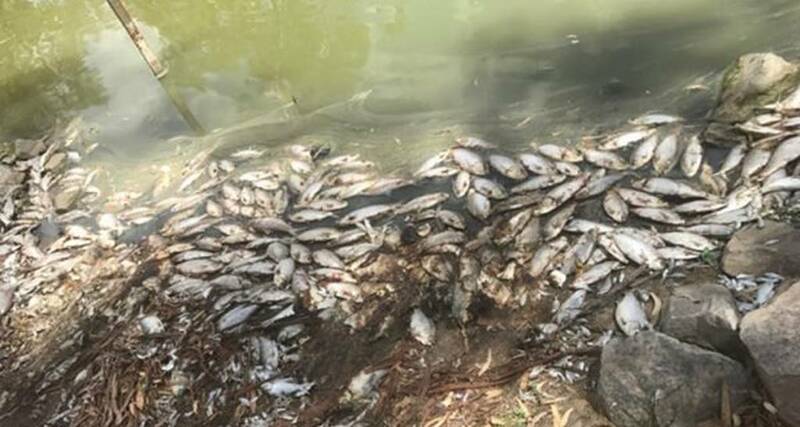 To sell off the nation’s water to foreign interests to grow cotton, and then leave many food farms and towns below in the Murray/Darling system without water, and dying, is tantamount to treason and corruption at its worst.